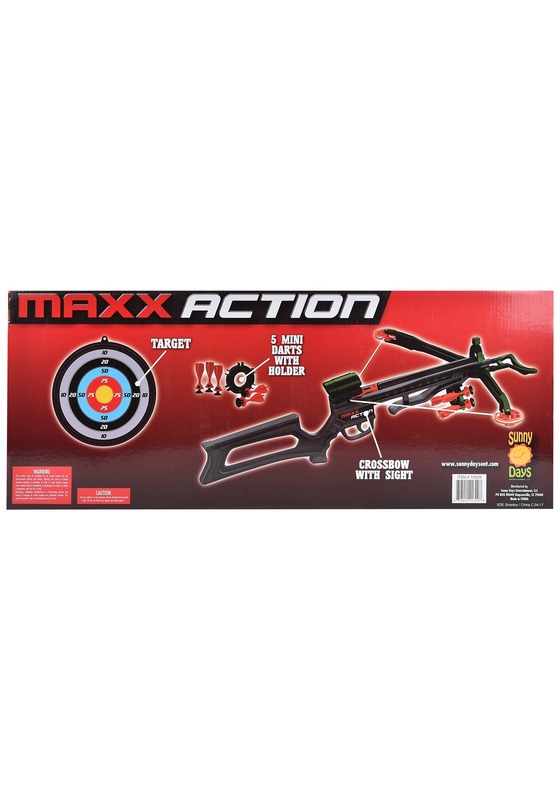 Even the world's greatest hunter needs a little target practice now and again, and this MAXX Action Hunting Series Deluxe Crossbow provides an excellent way to help kids keep their eyes sharp and their aim true. Whether they plan to track big game or fend off bloodthirsty zombies, this convenient accessory makes a slick-looking prop—and can really help them hone their skills! The working two-piece 24x18" crossbow comes with a round sight and suction-tipped darts that will make routine marksmanship training feel fresh and exciting as they learn to bullseye the included target. 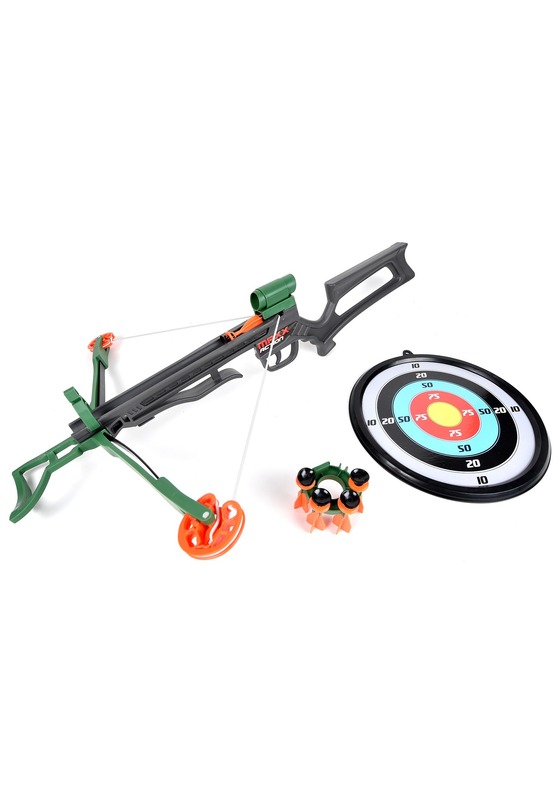 The bright colors add fun (and safety) to the experience, so you can be sure that this awesome toy will provide hours of happy hunting. Plus, the snap-on ammo holder will make it easy to pack up and store for next time! For an extra thrill, consider adding a pair of toy binoculars or some field-tested headgear.